last week, but just haven’t taken the time to tell you about it. It was fascinating. The book is simply a collection of diaries and letters, just as they were written. You get to know the women personally. The editors also provide some background on each woman to put her in context, which I appreciated. We have all seen movies or television programs showing the wagon train heading out across the plain, but this is a close-up look. 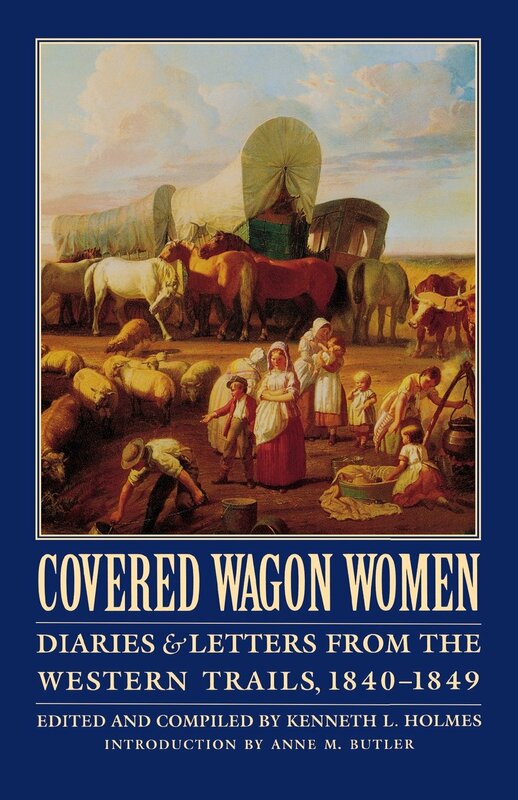 One woman even describes how they packed the wagon. If you’ve been reading my daily logs for a few years, you know how much I like the details. There were hard times and deaths. Ironically, Tamsen Donner, of the ill-fated Donner party, wrote about how easy the trip had been so far. I had never given it a thought, but the journey was hard on the animals too. I recommend this book to anyone with even a passing interest in the westward movement who wants to know what it was really like. Here it is on Amazon with some pictures and more description than I have given. Looks fascinating! I like details of daily life too. I’ll give it a try, thanks. Well, it was not mine, I stole it from the book. My daughter loved Laura Ingalls Wilder … again, the detail appealed. Oh yeah, I read every one of the Wilder books when I was a kid. Some more than once. Diaries always seem so much more interesting than many fiction novels. I suppose it’s that personal feel and the detail the diarist can convey. This one looks very interesting. I intend to have a look. It looks like a very interesting read.